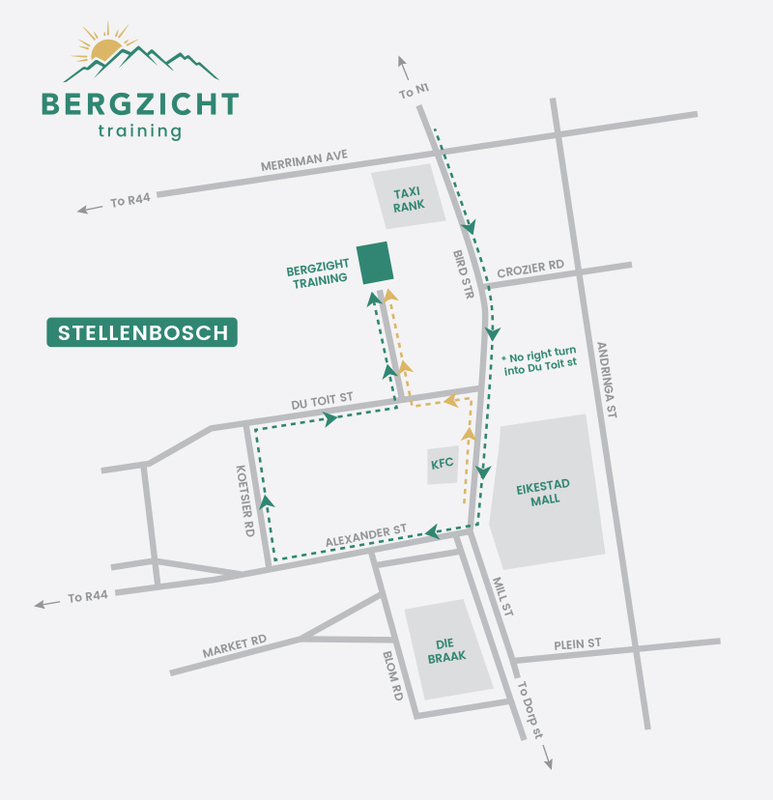 It may have taken her more than a decade, but Bergzicht Training alumnus, Nadia Andries (34), has finally found her calling and it happens to be a job that has helped her start her own business too. 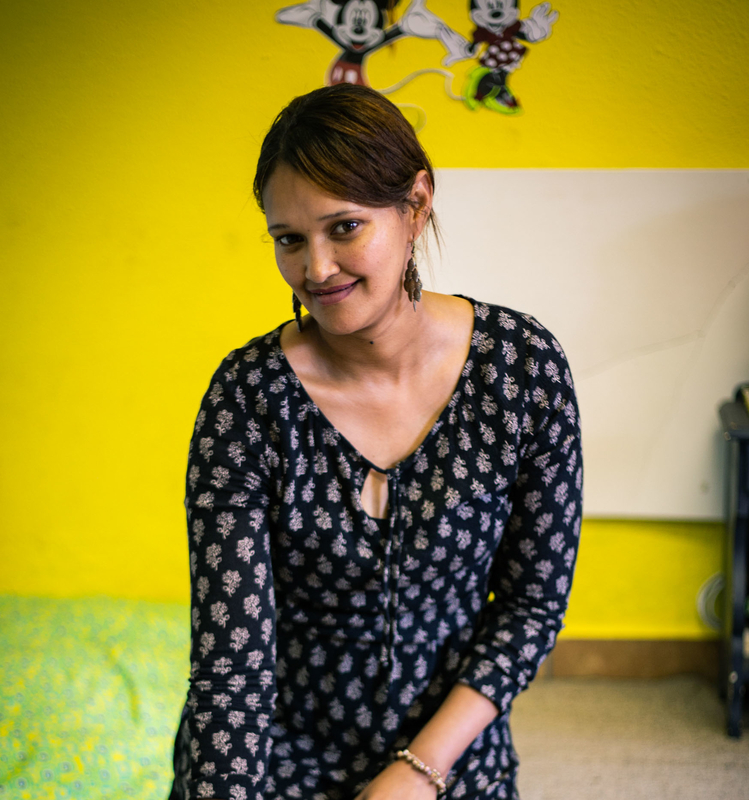 Before Nadia completed Bergzicht Training’s Edu Care Programme, she had been employed as a sales assistant at Shoprite, Pep and the Suit Hiring company in Strand and Eerste River. She had also worked in a butchery. However, in 2017 she decided to quit her job at the Suit Hiring company because of career stagnation. “You can’t really work towards a higher position there and I felt I had so many other talents that I wanted to develop,” she explains. In 2018, Nadia started the Edu Care Programme. As a single mom to Joshua (14) and Keisha (10), it was a tough decision to make. Nadia also had the support of her family during this time and helped out in the home by cleaning the house and cooking food. 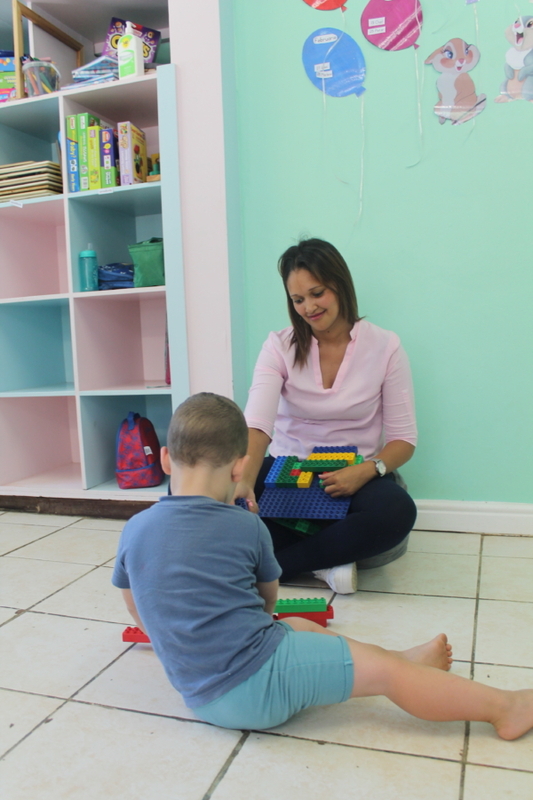 Soon after completing the programme earlier this year, she began looking for employment at creches, day care and aftercare establishments. However, even with her newly-learnt skills she was unable to find work. South Africa has one of the world’s highest youth unemployment rates which is currently at 38.8%. “I decided to pray about it, because there was nothing else I could do. I isolated myself and prayed and asked God for an answer,” says Nadia, who has relied on her faith during the most trying times in her life. It was during this time that her involvement at her church revealed her talent to her. 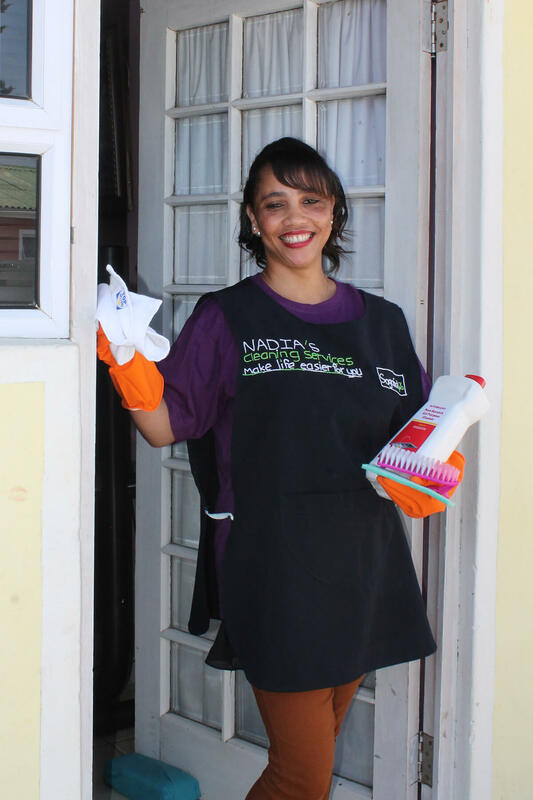 A few days later, Nadia went to the local internet café to create some flyers to advertise Nadia’s Cleaning Service. She had no money to have her flyer designed, so she made her own one. Later that day, Woolworths and other companies started contacting her to offer her a job. She had sent her CV to these businesses not too long ago. “God was testing me. He wanted to see how much I wanted to do this,” says Nadia. She held onto her faith, she adds, knowing that the clients would come. A few days later she had her first client. Nadia’s visits to the internet café had not gone unnoticed either. An assistant at the café offered to help her create a new flyer and to take photos that she could use on the flyer, all for free. While she may not be working in the Educare industry, Nadia has taken the skills she learnt at Bergzicht Training and has used it to help her in other ways in her life and business. Old, torn clothes are repurposed and stitched into new creations, allowing her to always have a wardrobe of different items to wear. She even created aprons for her business and hand sewed the business name on the aprons when she was unable to afford to print the name on the aprons. Nadia is however not done yet with her journey of self-development. She is currently attending evening classes to complete her matric.